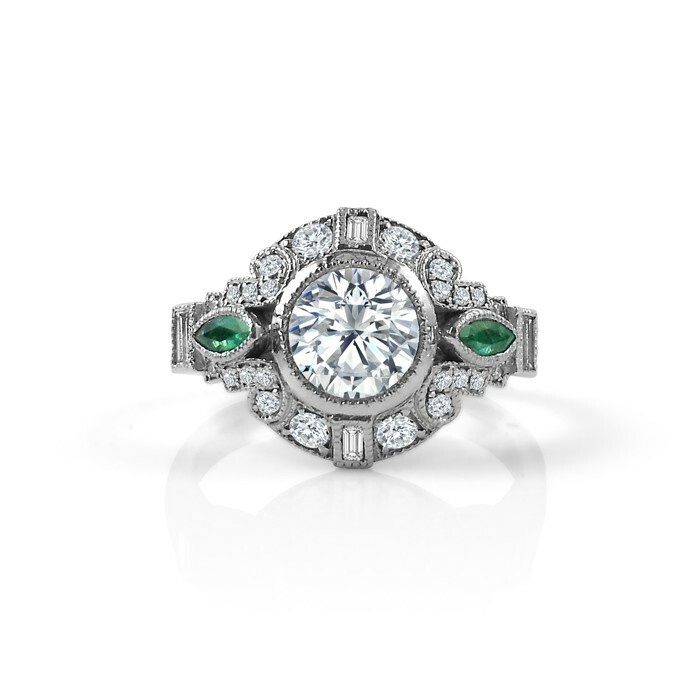 This custom engagement ring was inspired by an image of a vintage engagement ring brought to us by a couple. 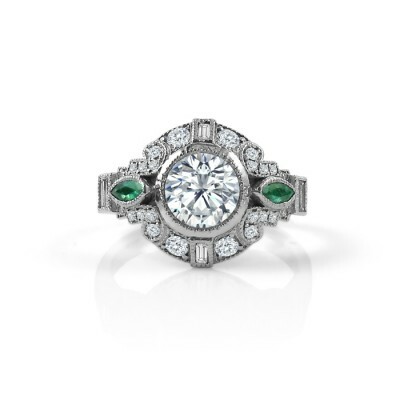 They decided to commission a custom engagement ring in a vintage art-deco style instead of just buying an estate ring because they wanted to modify the design that they'd seen to incorporate the marquis emerald accents shown in the photo, and they were also worried that an old ring that had already been worn for decades wouldn't stand up to everyday wear. We've seen some fabulous antique vintage engagement rings, and also a few that have fallen apart. A lot of rings made during the great depression were made as cheaply as possible, with the minimum amount of metal and poor quality diamonds. 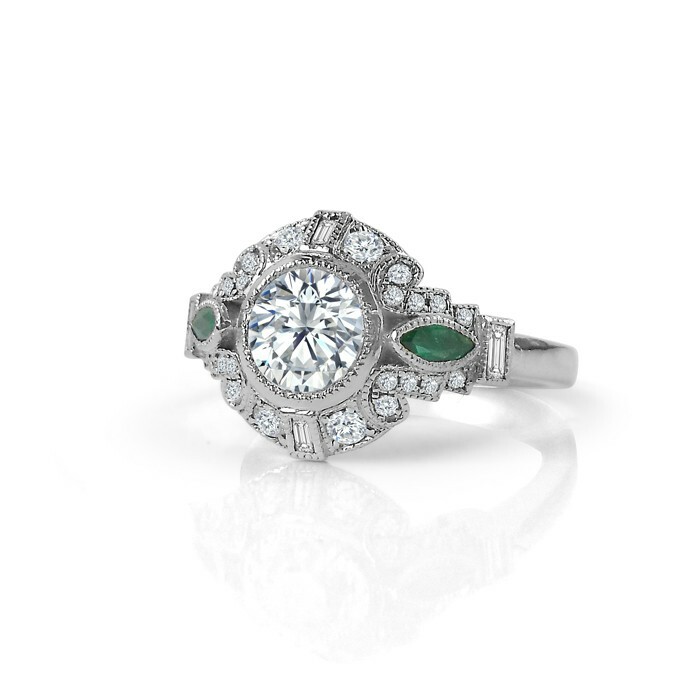 A custom made vintage-inspired ring is a great way to ensure a quality product, while making your ring unique.